MILWAUKEE -- Milwaukee is filled with excitement as the Bucks started their playoffs run at the top of the NBA, beating the Detroit Pistons in the first game. Fans have been waiting patiently for this time to come, you could say decades. Jim Niemann remembers when you could only listen to the games on the radio. “We’re dying for this. Are you kidding? I mean this is what you play the game for, you know to have a chance to go all the way,” Niemann said. The last and only time the Bucks ever won a championship was back in 1971, and they haven’t really gotten anywhere close since. Ann Stevens was in high school at the time. “I was a kid when anything like this happened. It’s just fantastic,” Stevens said. Young and old are making sure to soak in the moment, passing on traditions from one generation to another. Brad Dethloff used to go to the games with his dad. On Sunday he brought his 12-year-old son, Adam. Some snowy weather didn’t stop fans from coming out. Jamie Martinez watched the big game on the big screen out on the plaza outside Fiserv Forum. Anna Malachowski felt the same way. “I feel like I’m a true Wisconsinite with the snow going and the big screen you know?” she said. Now fans look forward to what’s to come. “This is our year right now. It’s no more only future. The future is now,” Deshawn Jenkins said. They hope that will be a winning title. “All the stars are lining up perfectly,” Gene Guszkowski said. “I think this is the year that they can do it,” Brad Dethloff added. 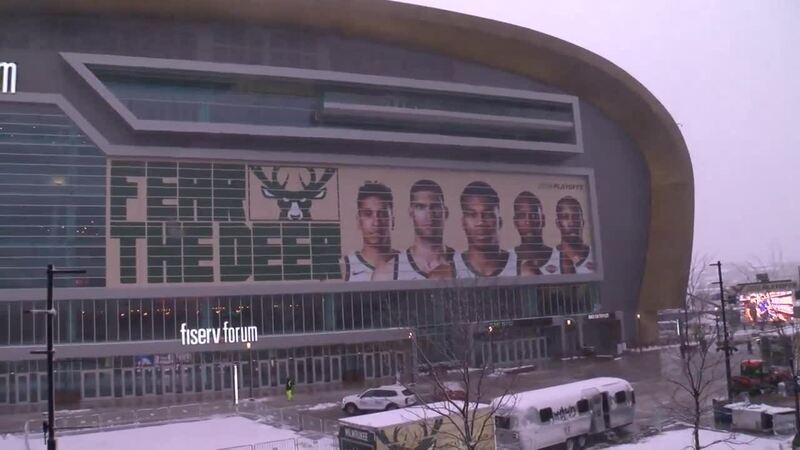 The Bucks play their next game at Fiserv Forum on Wednesday.